So I have to admit I’m a bit of a nail polish snob. I usually gravitate towards Essie, OPI and now China Glaze (apparently a West Coast brand) too. 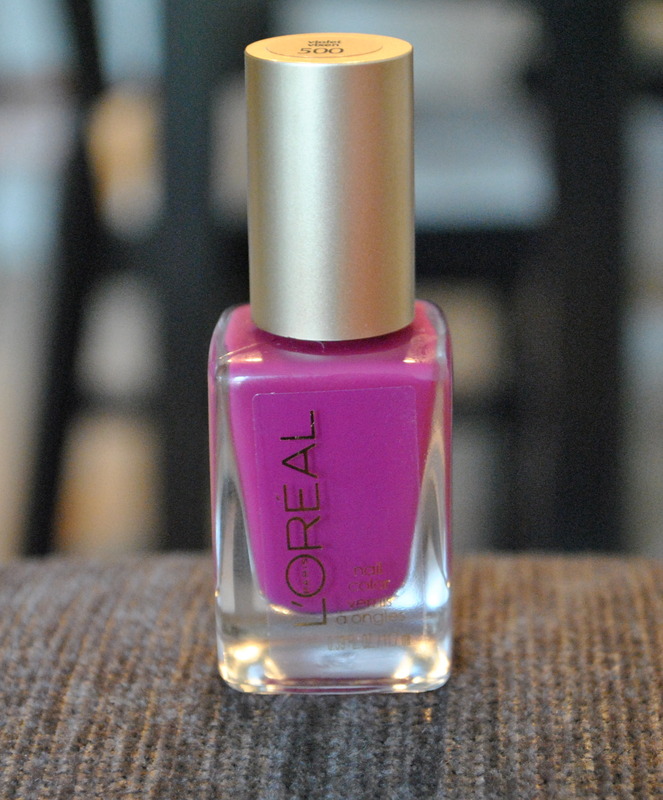 However, a few Target trips ago, I noticed a display of some fun L’Oreal colors. I’m not sure if they’re new, or have new packaging, but they really caught my eye. A few Target trips later I just couldn’t resist and I picked up Violet Vixen for $4.99. I love the packaging and brush, and the formula covers well in just two coats. Violet Vixen is a great spring transition color (because now that the holidays are over it’s almost Spring, right?). It’s bright and fun but not too pastel-ey. First giant polish swatch photo ever. Yikes! Must improve nail painting skills. The only thing I’d change about this color is the name. Violet Vixen makes me think purple, while this is more on the reddish, pink- purple side. 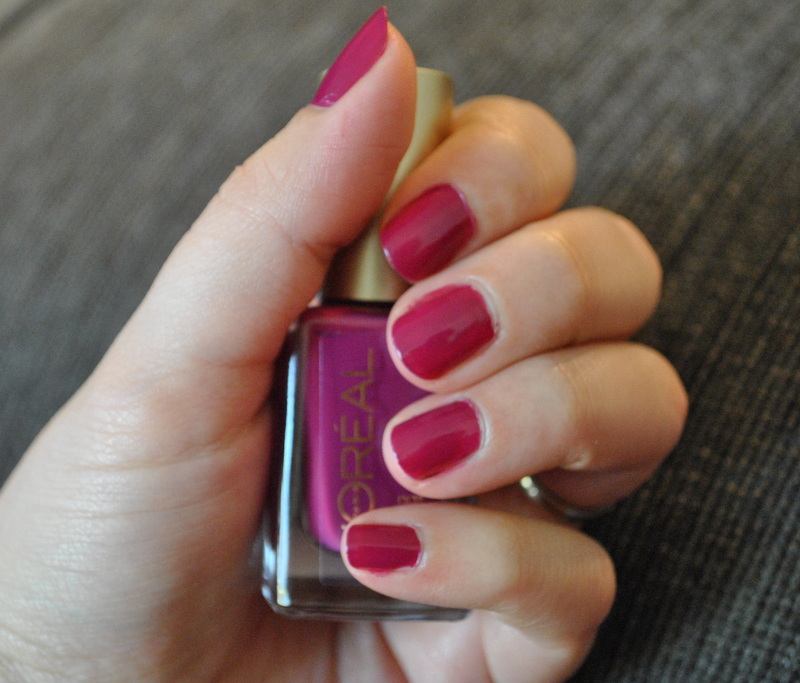 How about Fierce Fuschia, L’Oreal?